A service is being held at Tiffin Boys School (January 10) for the 17-year old A-Level student whose body was recovered from the Thames by Chiswick RNLI . Conor O’Donoghue, a former pupil at St. Benedict’s in Ealing, disappeared over a month ago after attending a gig in Camden with friends. 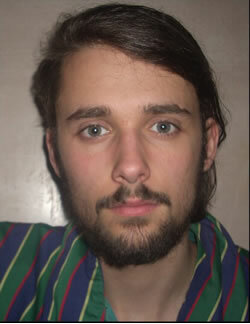 He was last seen at about 5am on 8 December on Kew Bridge after getting off a night bus. Headteacher Hilda Clarke said the thoughts and prayers of the staff and students were with the family at this sad and distressing time. She said; “Conor joined Tiffin School in the sixth form in September 2011 from St Benedict’s School in Ealing. “He quickly established himself as a bright and able student who did very well in his AS studies and examinations. “By the beginning of Year 13, Conor had decided that he would like to go on to university to study physics and he was showing all the promise of being able to fulfil these ambitions. “Our thoughts and prayers are with his family at this very sad and distressing time. His body was found last Tuesday, a day after Conor’s mother Brid made a plea for information about her son, saying how devastated and worried the family were. On the night he disappeared he had been chatting with his parents about the new term at school and walked to the Tube with his sister, where they parted company as she went on to her youth group and he went to join friends at a gig in Camden. Conor travelled with three friends to see The JB Conspiracy at The Underworld in Camden. After the gig finished at about midnight he took night buses back home, getting off the N9 at Kew Bridge station. He was last seen at around 4.45 am. Notices were posted in shops and offices throughout the area as the public were asked to watch out for a sighting. The Chiswick RNLI and police recovered two bodies on Tuesday from the river Thames, one on the foreshore close to Putney Bridge, and the other between Chiswick Bridge and Barnes. "A post-mortem examination has been conducted at Fulham Mortuary and proved inconclusive. Officers now await the results of further tests. "An inquest was also opened and adjourned at West London Coroner's Court today. Conor's death is being treated as non-suspicious at this time", said a police statement. The second body recovered last Tuesday is believed to be that of Adrian Palaniciuc, who is also 17, from Hounslow, a Romanian national who had been in London for three months. He was last seen near Richmond Bridge four days earlier. Police say they are not treating his death as suspicious.